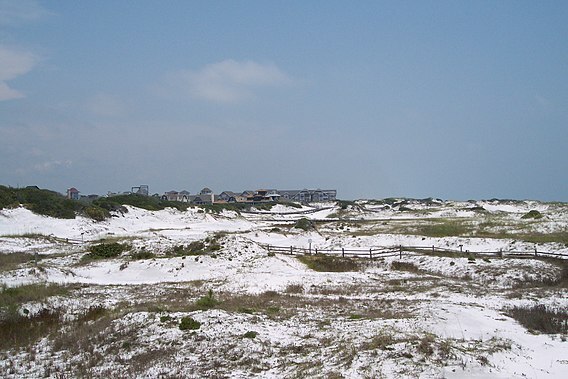 A variety of home styles and prices can be found in Santa Rosa Beach. Zillow shows the median home value rising since 2012, and is $512,300 in late 2018. Santa Rosa Beach is located on a 26 mile stretch of the Emerald Coast with beautiful beaches, many choices in dining, and a town center with an artists colony, shops and events. Yahoo! Travel named it as one of the "Best Beach Destinations" in 2011, and Travel+Leisure Magazine called the South Walton area the "Best Beaches on Earth" for families. If you are not an outdoor person, you may not enjoy Santa Rosa Beach; high cost of living; culturally, it doesn't offer much; The Florida Panhandle has been hit or brushed with tropical storms or hurricanes in recent years. The average January temperature is about 70 degrees with July's average at 93 degrees. Due to its location on Florida's Panhandle, Walton County and Santa Rosa Beach have experienced tropical storms and hurricanes. The latest tropical storm was Claudette in 2009, and Hurricane Katrina in 2005. Santa Rosa Beach is one of several neighborhoods along miles of white sandy beaches, it also has a golf course and a farmers market; The Point Washington Forest can be entered in Santa Rosa Beach and is made up of more than 10 miles of trails, sand hills, wet Flatwoods, and Cypress swamps; Eden Garden State Park is part of an estate which houses one of the largest collections of Louis XVI furniture in the U.S.; Artists at Gulf Place is where local artists display their work; Santa Rosa Beach has many great restaurants and travelers on Tripadvisor.com highly recommend several of them including Chanticleer Eatery and Redds Fueling Station; Acclaimed Chef Emeril Lagasse has visited Santa Rosa Beach and Walton County restaurants as part of his national television show. Santa Rosa's crime rate is higher than the national average. Northwest Florida Regional airport is 33 miles away in Valparaiso; Florida Beaches International Airport is 36 miles away in Panama City.